First serialized in Blackwood's Magazine in 1899, "Heart of Darkness" is the story of steamboat captain Charlie Marlow's voyage into the primitive interior of the Congo of Africa. As a manager of a Belgian ivory company, Marlow travels up the Congo River to meet Kurtz, an agent of the ivory company. Deep in the interior of Africa Marlow finds Kurtz living among the savage natives who revere him as a God. 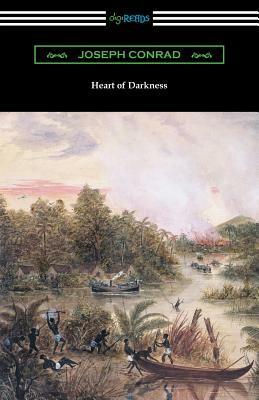 While neither a critical nor financial success during Conrad's lifetime, "Heart of Darkness" has since become Conrad's most famous work, one of the most analyzed works in the history of literature. In "Heart of Darkness," the Polish born Conrad has crafted an intense psychological drama that deals with the very nature of good and evil. Sharp contrast is drawn by Conrad between the "civilized" world of continental Europe and the "uncivilized" world of the interior of Africa, in a mysteriously ambiguous narrative that presents the reader with an inquisitive commentary of the evil savagery that lies at the heart of human existence. This edition is printed on premium acid-free paper.